Harriet S. Mosatche, Ph.D., Karen Unger, M.A. Middle school is aptly named, as middle-school-age youth are balancing that in-between life stage. 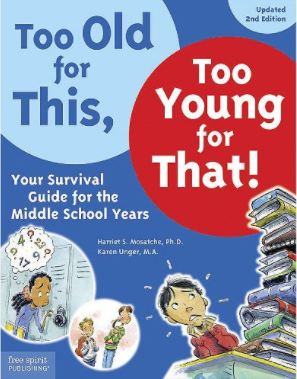 Presented in seven "survival tips," this updated second edition helps guide children through the middle-school years. From the body's changes - physical and emotional - to building self-esteem, making friends and getting along with family, the book offers answers to questions that any middle-school youth might pose.